The crashing waves deposited non-biodegradable plastic and other garbage on the beaches. KENDRAPARA: The gigantic sea waves due to very severe cyclonic storm Titli have thrown back huge quantity of garbage on the coastlines of Kendrapara, Jagatsinghpur and Ganjam districts. The crashing waves deposited non-biodegradable plastic and other garbage on the beaches. The beaches of Pentha and Satabhaya in Kendrapara district, Paradip and Silai in Jagatsinghpur district and Rushikulya and Gokhurajuda beach in Ganjam district are now littered with huge quantity of garbage. Beaches such as Satabhaya and Rushikulya have trash up to two feet deep. 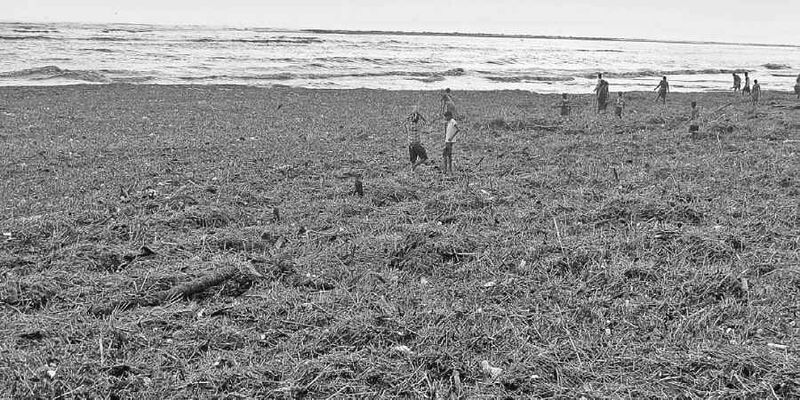 Many fishermen dump damaged fishing nets, plastic bottles, polythene and other hazardous materials into the sea and the gigantic sea waves during the cyclone throw back the trash onto the shore. “Plastic garbage also chokes rivers and creeks. The officials should clean the trash from the beaches. The State Government banned use of plastic on October 2 in Bhubaneswar, Cuttack, Berhampur, Sambalpur and Rourkela and the seaside town of Puri. It is high time to impose ban on plastic in other parts of the State to save environment,” said Hemant Rout, an environmentalist.